We were essentially going blind. 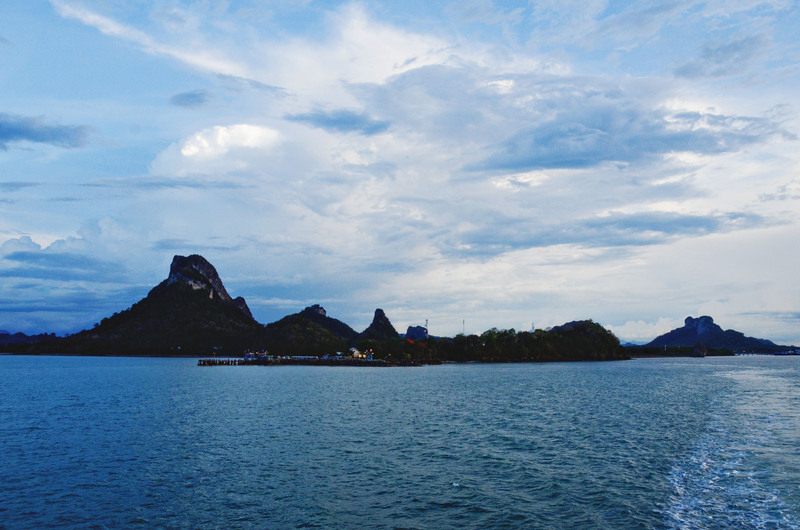 All we had was the skeleton of a plan; get to Surat Thani, cross by ferry to Koh Phangan. Details and arrangements like “how?”, “where?”, “then what?” were nonexistent. We tried booking online earlier in the trip but all the facilities were out, and in the rush and fatigue of two days on the road, we lost the energy to persevere with our online search and the patience to iron things out. So there we were, three girls lost in our own trip. As I alighted from the cocoon of the bus bus into the fast-moving current of people, my heart started beating heavily. Perhaps it was an omen that I just stepped into what was to be the most emotionally trying portion of my adventure. It was then that a voice in my head spoke up and reminded me to relax and have some faith in Thailand. After all, when I was there last year every single thing I wanted to happened, and I left thinking that I had a spirit guide in Thailand listening to my every thought. I took a breath and told myself that it’ll be all right, and Thailand would take care of us. And as fate would have it, every hazy step of the way seemed to be guided by some cosmic hand. We huddled by the bus and reviewed our situation. We currently didn’t have baht because we made the huge mistake of not having our money converted at the border, thinking it would be money-changers galore in Bangkok (maybe so, but not at 4am). We knew we needed to go to Surat Thani and we had two options for that: hazard a train at Hua Lampong Sation, despite online agencies saying they’re all fully-booked, or take a bus at we-didn’t-know-what-time. If it was the former we wouldn’t leave Bangkok til a full fourteen hours away, and not arrive in Surat Thani til the next morning (I was strongly craving a proper shower at that point); if it was the latter, we might arrive earlier but maybe not in time for the last ferry to Koh Phangan, which meant that we had to find a place to stay for the night. All we could do then though was find a money-changer and find a way to get more information. At that moment our bus rolled off to reveal a Tourist Information booth right across from where we stood. I could almost hear Thailand’s cosmic “I told you so” in my head. We told the information officer our concerns and she said that money-changers wouldn’t open til 9am, but there was a van departing for Surat Thani in half an hour, and it would arrive by that afternoon. We agreed that getting on the van might be best because at least we’d be at our destination already, and we could just figure out the next steps from there. The only problem was we had no money for the fare. So the information officer offered to swap enough of our dollars to cover the fare and have some extra, which was just enough for snacks on the road. She said she would convert more but she didn’t have enough money with her. Thus with the kind assistance of one stranger, we got on the van to our destination. About a third into our eight-hour journey to Surat Thani, our van took a break at a rest stop and we realized just how famished we were. Our last real meal was late lunch in Vientiane almost twenty-four hours ago. Since then it had been chips, chips, and more chips, which were pretty much just air we could chew. In our hunger we practically swallowed the meager snacks we could afford but still found ourselves hungry. We had run out of baht and only too bluntly found out that nobody accepted credit cards anywhere there. We were starving, had five more hours to go, and no means to feed ourselves. As Bernice and I stood there discussing our options, the van driver tapped my shoulder and handed me his mobile phone. I looked stupidly at him before realizing I was supposed to speak to it. So I took the phone and found a lady on the other line. “Why do you need baht?” she asked in the typical Thai singsong. Her voice was gentle and friendly. “Oh, we just need money to buy food,” was my pathetic response. Amazingly, she seemed to sense the urgency of our situation and exclaimed in agreement. Then she told me to give the phone back to the driver. After a couple more exchanges, the anonymous woman from the plastic gadget told me, a complete stranger, that she told the driver to lend us THB1000 to buy whatever we needed, and that he would take us directly to a bank to pay him back and get money for ourselves once we got to Surat Thani. I was utterly dumbstruck. This stranger in essence had just fed us. Coming from a country where mistrust was so deeply ingrained, the thought of being entrusted with a substantial amount of money by somebody who didn’t even know me, who had never even seen me, and was doing it purely on the faith she had in my story and the desire to help, was pretty much unheard of. And what’s amazing was we didn’t even ask to borrow money, we just asked to be shown a money-changer. Yet she decided to go one step beyond what we asked for and provide for our need herself. I was able to breathe so much better after that, and not just because my hunger pains had abated. I could feel my Thai spirit guide’s cosmic back rub telling me to have more faith. Hours later I began to see road signs that we were nearing Surat Thani. My rested brain started to go on overdrive again and a whole new set of thoughts swam in my head. It was four PM then, and I wondered if we’d get to a ferry to Koh Phangan in time. We still had to have money exchanged, then we had to find a ride to the port which was still one and half hours away, see if it was still open, and if they still had tickets available. If not, we had to find a place to stay for the night. In true Thai fashion, the answer got handed to me before I even knew it. It seemed that another group in the van was traveling to Koh Samui, which is right beside Koh Phangan, and was dropped off at the tour agency’s office. Right at the sidewalk where our van parked was a tarp that read in big, bold letters: TRAVEL TO KOH SAMUI, KOH PHANGAN, KOH TAO, KOH PHI PHI, PHUKET. Without even thinking about it I jumped out of the van and asked the guy in the office if they had available bus and ferry tickets to Koh Phangan that day. He said yes, and the last one was just about to leave. As luck would have it too, he somehow knew the van’s driver and they agreed that we could add what we owed the driver to our bill and they’d settle between themselves. After attempting to rip us off, he finally handed us our tickets and we were on our way. It seemed that they notified the ferry to wait for us because right after we arrived the gates were closed, and the boat started moving right after we boarded. Despite all the uncertainty and stress though, everything turned out for the better. We arrived in Koh Phangan that night, a day earlier than we intended. The room we had reserved was already available and I had the longest shower and most restful sleep I’ve had in days. This also afforded us a full day’s rest before the Full Moon Party the following night. Except for eating, and a quick dip at the beach, I spent most of the following day in bed, snuggled in the sheets, recuperating from the draining two and a half days of endless buses and hunger. By that evening, we were all fully energized again to party our tiredness away. Afterwards, we had one more full day in Koh Phangan before heading back to Bangkok. Thinking about all the road travel we had done, I learned a huge and important lesson at that point in the trip. We were so concerned about scrimping and keeping it within a budget that we had totally brushed aside how we would actually feel traveling that way. It was so strenuous and draining spending days on buses and subsisting on half-meals, that we needed more time to gain the energy back once we got to our destination. This then ate up the time we had to explore and affirm why we went to the place to begin with. But having only a couple of days per place, we’d forge on and explore anyway despite being still a bit tired. This just compounded as the trip progressed, and took much longer to overcome as it went on. On the other hand, that journey carved a permanent space for Thailand in my heart. It’s one thing to be blown away by a place’s beauty, or to enjoy the thrills it offers. But when it somehow makes you feel secure and taken care of, despite all the odds pointing against you, that’s something else entirely. It felt like Thailand had a cosmic cradle for me to rock in, and I was travelling in it my whole stay there. For that I feel really lucky and blessed. 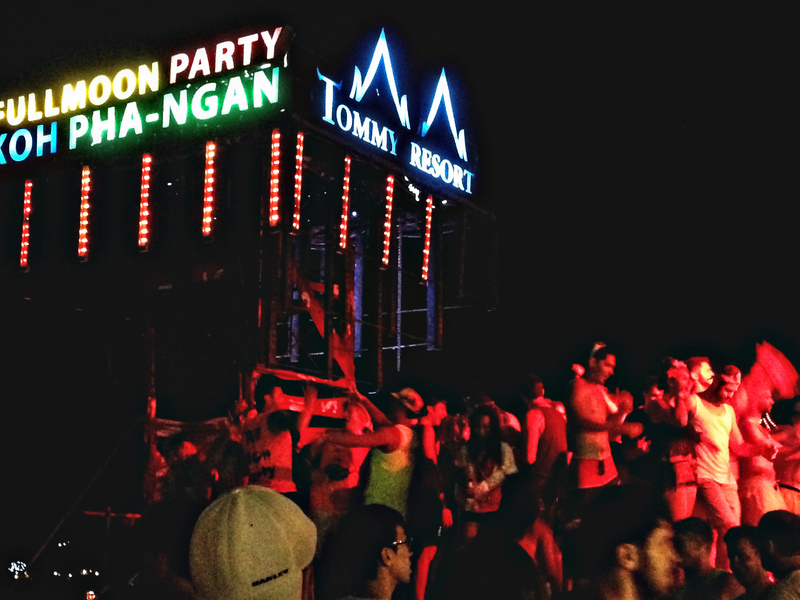 I love Thailand now deeper than its parties, beaches, and endless possibilities. And I look forward to my return.